Work for EnCase Endpoint Security? Learning about EnCase Endpoint Security? We have seen our malware and spyware issues dramatically drop since releasing this product. We have not had any issues with systems being down for any period of time. Does slow down the bandwidth but we are secure. Takes a while to create bypass list and the need to add sites that you wouldn't think you would. A great level of protection against the nastiness of the outside world. A safer computer environment for our users and most importantly our data. We have dramatically lowered the amount of PC downtime. There is nothing I dislike about EnCase, it is a great product and gets the job done. 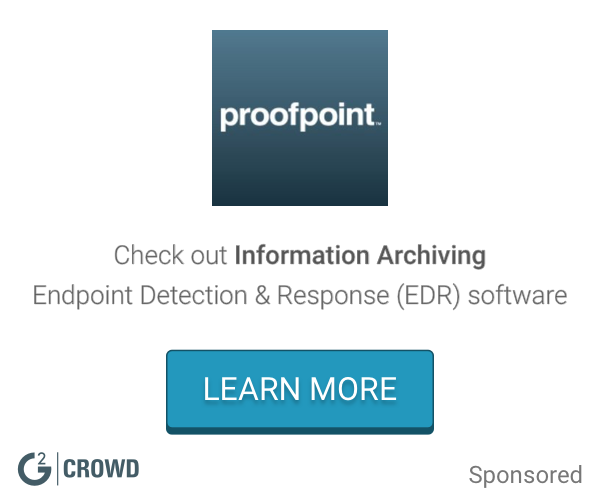 CrowdStrike Falcon endpoint protection unifies the technologies required to successfully stop breaches: next-generation antivirus, endpoint detection and response, IT hygiene, 24/7 threat hunting and threat intelligence. They combine to provide continuous breach prevention in a single agent. * We monitor all EnCase Endpoint Security reviews to prevent fraudulent reviews and keep review quality high. We do not post reviews by company employees or direct competitors. Validated reviews require the user to submit a screenshot of the product containing their user ID, in order to verify a user is an actual user of the product. Hi there! Are you looking to implement a solution like EnCase Endpoint Security?